Geldfluss in der Formel 1. And if you add in sponsorship, merchandising. 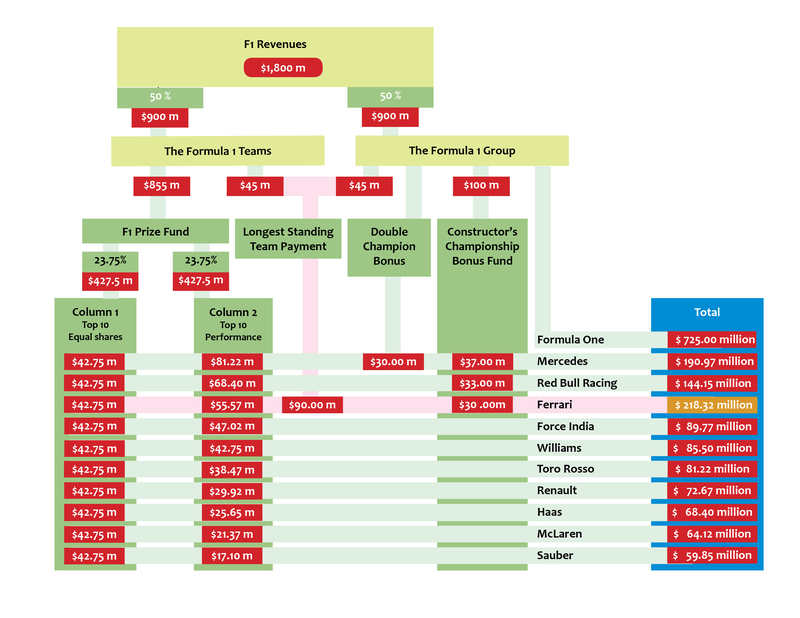 licensing and so on, it is clear that the Italian team is not spending a great deal on F1 – if anything.